WHERE IN THE WORLD IS PANAMA'S CORRUPT FORMER SUPERINTENDENT OF BANKING ? In the wake of the flurry of anti-corruption cases, now showcased in the Republic of Panama, the individual who, more than most, was responsible for the country's current money laundering culture, ex-Superintendent of Banking, Alberto Diamond R, is conspicuously missing. The powerful Diamond, who headed the Superintendency of Banking under the now-disgraced administration of Ricardo Martinelli, disappeared shortly after President Varela forced his resignation. 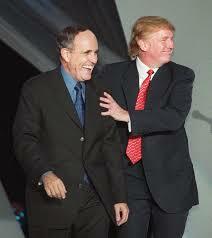 (1) Diamond did not indict or charge ONE bank for money laundering, during his tenancy. To the contrary, he presided over a major expansion in money laundering, and terrorist financing, activities within the Panamanian banking sector, choosing to accept hefty bribes, rather than enforce the law. (2) Diamond often extorted $50,000 bribes from local businesses, owned by foreigners, as the cost of him not targeting them for some supposed violation of his agency's regulations. Most Panamanians regarded him as little more than a blackmailer. (3) He allowed ex-president Martinelli, and his cabinet, free an unfettered access to the country's financial institutions, for the movement of bribes & kickbacks, as well as the proceeds of securities fraud, in a celebrated insider trading case. An accountant with no relevant prior experience in government, or in the banking industry, Diamond was long rumored to be related to Martinelli, hence his surprise appointment. (4) He promoted his son-in-law's money service business, by seeing that competing MSBs were removed from the marketplace. (5) He accepted mega-bribes, directly from banking sector owners, targeted whistle blowers, and threatened any foreign businessmen who dared to oppose any actions of his corrupt agency, which demanded money to perform just about any ministerial act, and usually got it. Has anyone seen this individual of late ? He dropped out of sight in Panama City, right after his abrupt "resignation," and justice demands that he be held to account for making Panama the money laundering capital of the world. He must be arrested, and justice served, if Panama finance is ever to extricate itself from the mess he placed it in. This week's news, regarding the fact that the government of the Republic of Turkey is blocking local access, on the Internet, to Wikipedia, when added to the fact that other websites are known to have been blocked or censored within Turkey, is not good news for compliance officers, no matter where their banks are located. If compliance officers inside Turkey do not have free and unrestricted access to the world wide web, then their efforts to confirm negative information on a customer could be blocked, meaning that an high-risk individual could be granted the ability to open accounts, when a complete, and unimpeded, due diligence, or enhanced due diligence investigation would have uncovered information sufficient to block his or her access. 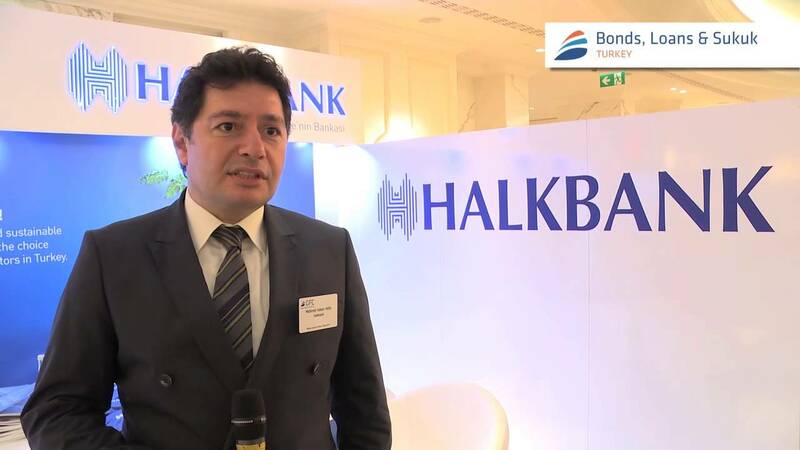 This impacts banks located outside of Turkey, for existing clients for whom assurances of adequate due diligence are assumed, may be, in truth and in fact, money launderers, terrorist financiers, or international sanctions violators. Let us not forget why Reza Zarrab, and one of his Turkish bankers, are facing long terms in Federal Prison in the US, for oil sanctions violations; they used Turkish financial institutions to evade UN, and US, sanctions. If Turkey's compliance officers are working with one hand tied behind their banks, perhaps you want to take a hard look at any substantial wire transfer, originating from Turkey, as part of your risk-based compliance program. 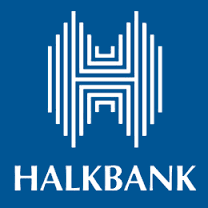 You do not want to be approving any major transaction, from Turkey, where you rely upon their banks' due diligence, using a restricted and censored information resource. While world media attention was focused on an air attack, upon what has been described as an arms shipment, located near the Damascus airport, of advanced weapons said to be destined for Hezbollah, another operation received no media coverage, probably due to the sensitivity of the location; inside Lebanon, to the probable dismay of the Beirut banking community, if word got out. Actually, details of the earlier arrival, at the Damascus Airport, of two IL-76 cargo planes, one Syrian and one Iranian, which may have ferried the advanced weaponry destroyed, as it was destined for Hezbollah, appear to further focused attention on the Damascus attack, said to have come from Israel. 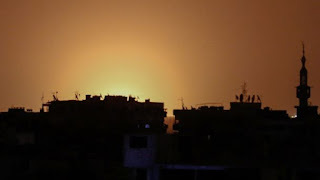 Was this an effort at news management, to insure that the Damascus attack capture the exclusive attention of the media ? Information received, from a totally reliable source, indicated that there was a second attack, at a location inside the Lebanese Republic, at a site controlled by Hezbollah, and that a facility that stored munitions and weapons, was destroyed. Obviously, coming on the heels of statements, from Lebanese leaders, that they control their country, and its borders, after a Hezbollah "guided tour," of the frontier with Israel, Lebanon does not want to admit that an attack even took place, let alone that munitions were located, targeted and eliminated. If the attacks upon Iranian-supplied weapons that Israel does not want Hezbollah to possess will now be conducted against Lebanese targets, and not exclusively within Syria, then the risk of armed conflict increases, as does Country Risk, for Lebanon's most precious resource, its Beirut financial center, is a prominent potential "infrastructure target," of Israeli warplanes and missiles, as repeatedly promised by senior military officers, if Hezbollah starts yet another war. The Chief Justice of the Grand Court of the Cayman Islands has issued an order, prohibiting the public from making photocopies of court pleadings. You can just make out the notice, prominently posted on the door at the clerk's office, according to witnesses. Of course, the public can review the court files, and take notes, but no method of copying or photographing shall be permitted hereafter. One wonders whether the recent high-profile fraud cases, originating in the Cayman Islands, have directed more negative attention towards the offshore financial center than the government desires, hence the effort to keep the original court documents, some of which could be interpreted as a "head in the sand" approach, by local regulators and law enforcement, off the Internet. In any event, reporting on major financial crime in the Cayman Islands, just became for difficult for the foreign press, who often rely upon court filings when covering the news of the Cayman Islands. Also, as the democracies of the Caribbean seem to be slipping further and further into authoritarianism, and rule by strong men, who seem more like banana republic despots, rather than the elected democratic leaders they are supposed to be, risk levels for foreign investment keep climbing upward. 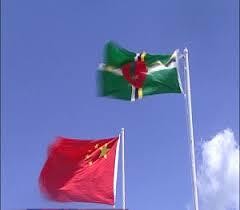 IS THE CHINESE EMBASSY IN DOMINICA SPYING ON THE UNITED STATES ? 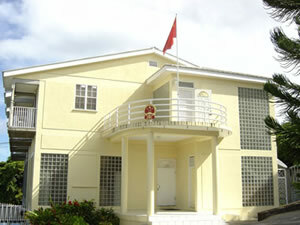 This is the Embassy of the Peoples' Republic of China in Dominica. According to local sources, this structure has a very high degree of security. 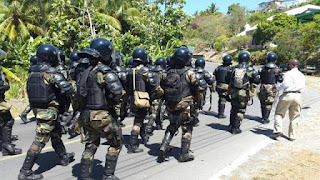 It is located in an exclusive residential area, Morne Daniel, and it is protected by a special paramilitary unit of the Dominican Police Force, the Special Service Unit, or SSU. Locals, who are unable to see past the solid wall, report that they are intimidated by the sinage, as well as the SSU palace guard outside, discouraging visitors. Considering that, outside of the rare Dominican university student, attending school in China, the embassy serves no practical function. The amount of international trade between the two countries is negligible, and outside of Dominican Prime Minister's trips to the Peoples' Republic, there's little or no international commerce, tourism or exchange. it is far too large for its official function, as an embassy, and to provide consulate services. So why is it there ? When Dominica's left-leaning, and often declared anti-American, Prime Minister, Roosevelt Skerrit, unilaterally withdrew his country's recognition of Taiwan, and established diplomatic relations with China, the two countries embarked upon a relationship which appears to be only at the highest level. 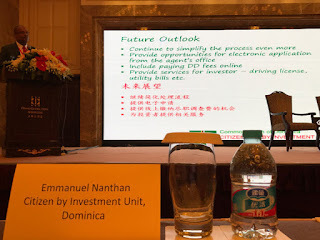 Dominica is actively pursuing high net-worth Chinese, for the country's Citizenship by Investment (CBI) economic passport program, as well as "investors, " though national agriculture took a severe hit during a 2015 tropical storm, and there is no other established industry; even tourism is a small factor. The obvious conclusion is that the Government of China is using the embassy as a protected listening post, under diplomatic cover, focused upon the East Caribbean region, as well as the United States, to gather intelligence, whether electronically, or through use of human assets. considering that the United States has one embassy in Barbados, serving no less than six East Caribbean nations, China's footprint in Dominica is large, indeed. The embassy also exists to exercise, and expand Chinese influence, for an emerging China is seeking to acquire a global reach. Whether its power, and opaque goals, will adversely affect the people of the Commonwealth of Dominica, we cannot say, but this curious embassy bears watching. Does anyone out there remember the Grenada invasion ? The unsucessful political efforts, on behalf of the indicted Iranian oil sanctions violator, Reza Zarrab, reportedly conducted with senior government officials in Turkey by Rudolph Giuliani, whose co-counsel are said to have minimized their client's role in the $400m international sanctions evasion scheme, by labeling Zarrab's acts as only involving "consumer goods," which flies in the face of the superseding indictment, alleging Zarrab's support for both Hezbollah and the IRGC, specially designated global terrorist organizations. The US Attorney's Office in New York has, according to published reports, disputed this effort to portray Zarrab in a lesser light. One report says that Rudolph Giuliani's strategy is to enlist Turkey in a cooperative campaign against ISIS, and argue to senior US officials (NOT Department of Justice) that the release of Zarrab to Turkey, as part of an omnibus agreement between it and America, would be in our best national security interests. In essence, he wants to give Zarrab a "Get out of Jail Card," in an arrangement through which US interests are better served in the Middle East, by Turkish military action. Whether you agree that this maneuver smells of backroom dirty politics, it doesn't appear to have worked, the US Attorney in Manhattan is moving forward with its case, and since we have seen no evidence of plea negotiations, we must assume that the case will, ultimately, go to trial. Of course, inasmuch as Zarrab is looking at 75 years, or more, of imprisonment, he may still decide to cooperate, and in that event, all the other conspirators in his organization, Zanjani, Monfared, and others, may find themselves as co-defendants sooner, rather than later. As each country delves deeply into the Panama Papers, they are finding, by and large, that many individuals investigators discover within the incriminating documents are their nation's Politically Exposed Persons, also known as PEPs, which raises the question about how such government officials came to possess large amount of money that greatly exceed their salaries, and known wealth & other assets. 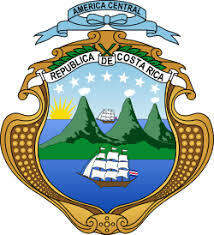 Over in neighboring Costa Rica, local media are referring to the scandal as the "Costa Rica Papers," due to the fact that 37, of the 137 Costa Ricans whose names show up in the Panama Papers, are PEPs. This information has spurred local authorities to launch multiple investigations into the possibility that these corporations formed, and accounts opened, by Mossack and Fonseca were created solely for the purposes of illegal tax evasion. Most of the offshore entities formed by the Mossack firm were incorporated in Panama, the British Virgin Islands, and the Bahamas. Details of the MF branch in Costa Rica were also made public. Form the tone of the publicity surrounding the release of this information, it must be assumed that criminal tax evasion charges will ultimately be filed in San José. ARE THE MONEY LAUNDERING LAWYERS THE NEXT TARGETS FOR PANAMA'S ANTI-CORRUPTION PROSECUTORS ? I note that a prominent Panama City attorney, who represented the two sons of former (and fugitive) President Ricardo Martinelli is in hot water with prosecutors. Is this a sign that money launderers, who just happen to be attorneys, are now to be charged in Panama ? The lawyer formed a corporation, and then purchased a multi-million dollar property in Spain, even flying to the closing, rather than expose her client, who was a Martinelli son. The Spanish Government has now seized the luxury building, in the same way that the Swiss Government froze $22m of Odebrecht bribe money, in Martinelli accounts, where again, a lawyer fronted for her Martinelli clients. Can this be really happening ? When Panama actually shuts down the money laundering lawyers, for criminal elements, both local, and foreign, the country has a slim chance of true reform. President Varela, please continue the crusade being waged by your anti-corruption divisions ; jail, and prosecute, the offenders. The right of peaceable assembly may be one of the cherished rights of the English-speaking countries, but this week it was abolished in a country that must now be regarded as a former democracy, now rapidly becoming a dictatorship. The population of the Commonwealth of Dominica has now, by decree, lost the right to assemble, and discuss their grievances. 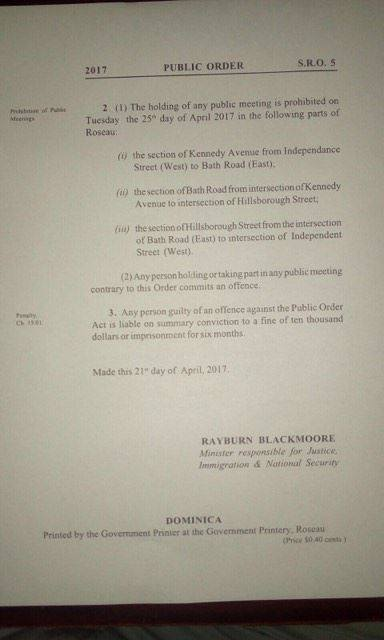 Today, April 24, 2017, the Minister of Justice, Immigration, and National Security enacted a regulation that enables him to ban any public meeting, assembly or demonstration. He then used this new & absolute power to forbid an assembly, to be conducted by Opposition parties. It is all displayed above and below. Democracy fades out, in Dominica, and dictatorship becomes the order of the day. if you have been reading any of the articles that I have been posting of late, you have seen the deterioration of the rule of law in Dominica, and the rise of autocratic rule. 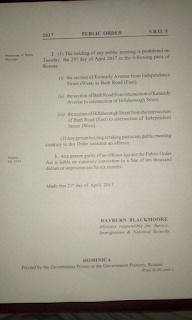 This one act, which has codified the acts of the local government in 2017, is the beginning of the end for democracy in Dominica. For foreign investors, eco-tourists, yachtsmen, and other travelers, the risk levels have flown off the chart, given the rampant corruption, vote buying, sales of passports to all comers, and general fear and loathing. For international bankers, Country Risk has risen so high as to make it a jurisdiction to avoid, leaving the population high and dry, while the corrupt national leadership rakes in their lucre. Dominica; the newest police state. 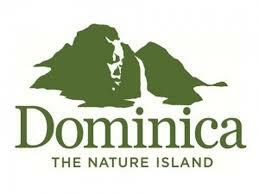 Welcome to Dominica; for risk management purposes, it is the new Haiti; a kleptocracy. THIS WEEK'S PANAMANIAN BETTING POOL: WHAT DAY WILL MOSSACK AND FONSECA FLEE THE COUNTRY ? 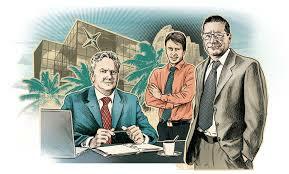 The hottest bet around Panama city these days involves picking the day when Jurgen Mossack and Ramón Fonseca, the senior partners of the law firm whose stolen files became known as the Panama Papers, flee the country to avoid prosecution for money laundering. Apparently, most Panamanians are busy counting the days when the duo leaves town for good, to collect upon their bets. Why have two obviously guilty lawyers have been let out of jail, only to permit them to run ? Perhaps they have far too much incriminating evidence against not only the Martinelli cabinet, but also the present, Varela, government. Perhaps justice will be denied, again, to protect "flight capital" of dubious origins, which many Panamanians regard as the lifeblood of their country's opaque economy. Where will they go, Miami ? If so, they can pal around with former Panamanian President Ricardo Martinelli, who seems to have cheated justice, thanks to some hidden American sponsor, most likely a law enforcement agency. If I see them with Rama Vyasulu, of Rosemont Financial "Permuta" fame, I will try to take a photo. If you have been following the ongoing controversy involving the Citizenship by Investment, or economic passport, program, of the Commonwealth of Dominica, you may have seen that the country's Prime Minister, Roosevelt Skerrit, recently traveled to China. 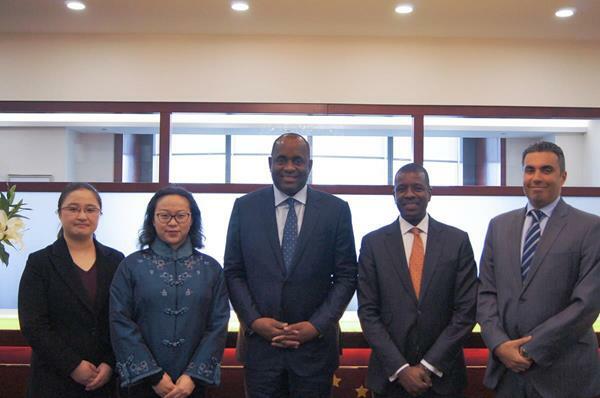 While there, Skerrit, according to media releases, met with a prominent Shanghai-based firm that specializes in high net-worth Chinese. 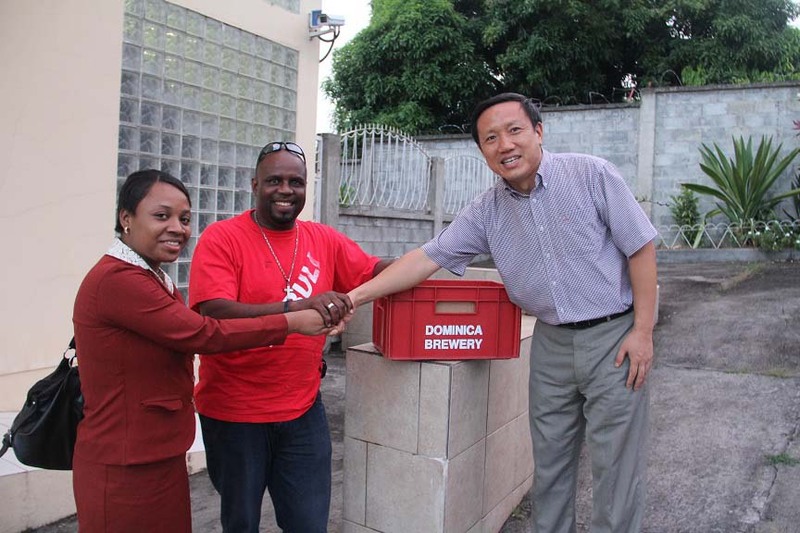 The joint press releases discussed creating Chinese investment in Dominica. What is not mentioned is the new focus Dominica has placed on securing Chinese investors for its economic passport program. In fact, Dominica participated in the 2017 International Migration Summit in Shanghai, which just concluded on April 21, 2017. Here's the problem: Chinese names must be converted into roman letters, for the purposes of passports from English-speaking countries, and the complex issues involved allow criminal elements, governmental officials, and even potential terrorists, to artfully conceal their true identities. there are several important issues, all of which could bar a compliance officer, at an international bank, from learning the applicant's true identity, at account opening, exposing the bank to increased risk of money laundering, or terrorist financing. (1) The romanization of a Chinese name, to a Western name, offers a career criminal, or other undesirable applicant for a Dominican passport, an opportunity to create a totally new identity, whether by altering the spelling, deleting one or more letters, adding a Western name, and moving the given name to middle name status (which is common), effectively rendering any enhanced due diligence ineffective at best, and a total waste of time, at worst. (2) Unlike in the West, mainland Chinese also may have acquired additional complete names. These are not just nicknames, though many exist, but are classified as official "school names,' so-called courtesy name, and even pseudonyms, all of which complicate the due diligence process. 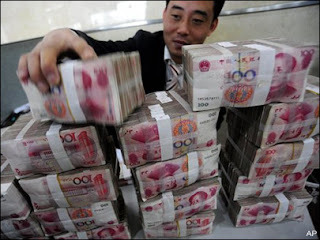 Add the name issue to the fact that Chinese face significant legal obstacles to moving their wealth offshore, to tax evasion schemes, to efforts of Chinese Politically Exposed Persons (PEPs) to send the proceeds of bribes and kickbacks out of the reach of Chinese authorities, and you have a potentially large class of "investors" who believe that they must obscure their identities to the West. Of course, the appointment of agents, without any professional qualifications, or oversight by government, who are the only avenue available to applicants, complicates the matter further, Look at this notice, posted by the CBI unit for Dominica. It is practically offering to obtain identity documents for his clients' applications, which guarantees that the names offered will not be the true names of the clients. If I am a compliance officer. at a North American or European bank, and run the name of a "Chinese Dominican" passport holder, through my due diligence resources, his or her real identity, whether it be criminal or not, PEP or not, most likely will not be discovered. If you contend that the original Chinese name should also be checked, exactly how many international banks have Mandarin-fluent compliance officers, and where are they to obtain competent information on Chinese nationals, when the Peoples' Republic controls the media? Operating a risk-based compliance program means that, should you encounter any passport holder, who was not born in his "adopted" Caribbean country, which happens to award economic citizenship, you must institute enhanced due diligence. If the individual is Chinese, you may have no choice but to decline the account, lest you open a relationship with an individual whom you later learn poses a clear and present danger to the bank. If you were wondering how SDNs get off the OFAC list, the Office of Foreign Assets Control does have a page with Frequently Asked Questions about the procedure. You can assess it here. 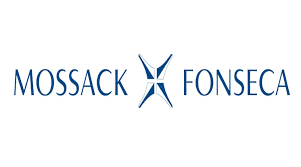 A Panamanian magistrate, sitting in the Second Court of Justice, in an appellate capacity, has overturned the initial ruling of the Seventeenth Criminal Court, and granted bond to Mossack and Fonseca senior partners Jurgen Mossack and Ramón Fonseca. The Court found that preventive detention, whereby the partners were incarcerated during the ongoing criminal investigation, was not proportional to the charges of money laundering, and set bond in the amount of $500,000 each. (1) That they would flee Panama, to avoid prosecution. The massive amount of evidence against them appears to weigh heavily in favor of ultimate conviction, and if they flee the jurisdiction, they may never face justice. (2) That they would continue to destroy evidence. While they were under investigation, Mossack staff members shredded firm records, and quietly stored the remains in a private residence, in an obvious attempt to commit Spoliation of Evidence; Panamanian law enforcement subsequently located the house. MF partner Edison Teano, who is also incarcerated, was ordered released on $70,000 bond. He is listed as an executive at Mossack Fonseca . Aside from the attorney who admits that she was the manager at the law firm's Brazil office, no other Mossack attorney, or staff member, have been arrested to date, though many of the attorneys have since relocated to other firms in Panama City. Some of the lawyers who reportedly committed money laundering acts, for their clients, have deleted from their resumés any mention of the Mossack firm as their last plasce of employment, and they may have taken some MF clients with them. In a ruling that many legal observers thought would never come, the High Court of Justice, of the Eastern Caribbean Supreme Court, has held that Leroy King, the former chief financial regulator for Antigua & Barbuda, shall be extradited to the United States. King was indicted in Texas, in the notorious Allen Stanford/Stanford International Bank Ponzi scheme, in 2009, and extradition proceedings have been knocking around the Antiguan court system since 2010, much to the chagrin of Allen Stanford's victims, as well as, I am sure, the US Department of Justice. Although a Warrant of Extradition was executed in 2012, counsel for King has, through multiple dilatory acts, appeals and Habeus Corpus filings, managed to delay justice, but the Court, in a 71-page decision, discussed, at length, and ultimately disposed of, all the arguments advanced by counsel for Mr. King, holding that none of them barred his immediate extradition. This ruling will go a long way towards reassuring observers that the rule of law is alive and well in Antigua & Barbuda. Readers who wish to review the complete text may access it here. Antigua & Barbuda Claim No. ANUHCV 2012/0220 (ECSC). Our article detailing statements made by reliable sources in Dominica, to the effect that a very large quantity of blank, official passports were sold, by senior members of the country's present government, and have now shown up in the Middle East, seems to have struck a nerve, but the underground movement of passports is a sad story often repeated in the developing world, where corrupt officials often take cash to sell out their national identity documents. Articles seeking to deny the truth of the Dominica story conveniently ignore the fact that the country is hopelessly mired in corruption at the highest level, and that such events, and worse, are unfortunately a regular occurrence. When the United States military conducted offensive operations in Afghanistan, after the events of 9/11, soldiers battling the Taliban recovered dozens of blank passports, from the Republic of Haiti, during a raid. Precisely how a terrorist organization acquired those documents has never been released to the media, though a Palestinian businessman visiting Port au Prince shortly before the attack on the World Trade Center was believed to have purchased them. In an era where the new variety of machine-readable passports are the rule, rather than the exception, the possession of such identity documents, when properly encoded, gives financial criminals, or terrorist financiers, a seemingly irrefutable piece of identification, which make the illicit transfer of passports more dangerous today than it was in the past. 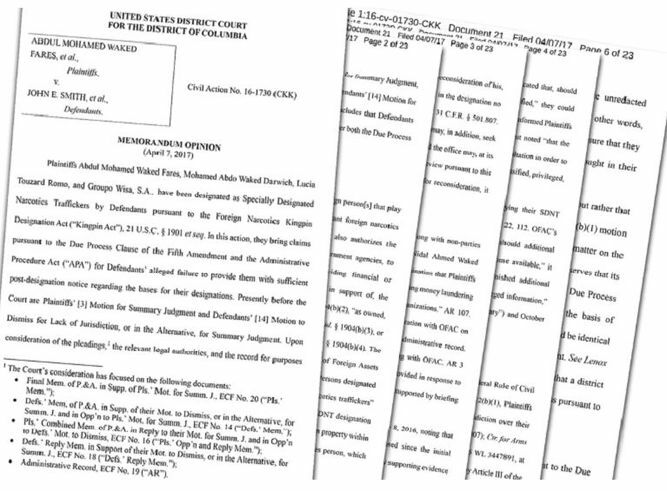 Affidavits filed, by former US Attorney Rudolph Giuliani, and former Federal Judge and Attorney General of the United States Michael Mukasey, indicate how these two new attorneys for Reza Zarrab sought to obtain a resolution of their client's serious Federal criminal charges through what they referred to as a "state-to-state," or political, solution. Although these pleadings are available to the public, through a review of the court file, The cover letter, to US District Judge Richard Berman, states that "all materials being submitted UNDER SEAL and for IN CAMERA review." It is unknown why they were not so sealed; this District Court has specific procedural requirements, when a party desires to have a document filed under seal, and if they are not strictly followed, the Clerk of Court will fail to seal them. "... I have been retained to provide advice, and to consult, although not to appear in court, with respect to Mr. Zarrab's defense of the charges in this case. 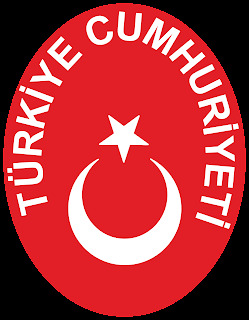 These services have focused principally, although not exclusively, on an effort to determine whether this case can be resolved as part of some agreement between the United States and Turkey, that will promote the national security interests of the United States, and redound to the benefit of Mr. Zarrab." The Affidavit later states that senior officials on both countries "remain receptive to pursuing the possibility of an agreement that could promote the security of the United States, and resolve the issues in this case. "... services have focused principally, through not exclusively, on an effort to determine whether this case can be resolved as part of some agreement between the United States and Turkey, that will promote the national security interests of the United States, and redound to the benefit of Mr. Zarrab." 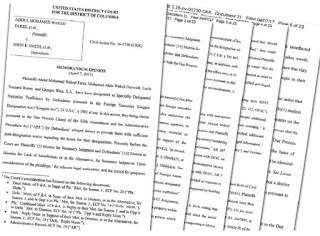 These affidavits were submitted as part of a proceeding to determine whether the fact that both lawyers' firms represent a number of the American banks that are designated by the Government as victims of Zarrab's Iran sanctions violation actions. The fact that Zarrab has taken the extraordinary step of seeking a political, or "national security" solution to his situation, rather than rely upon his dream team of defense attorneys, who are among the best in the Eastern United States, indicates that he most likely fears the outcome of a trial. If, however, Giuliani and Mukasey fail to achieve an end run around the justice system, through some sort of agreement with the senior leaders of Turkey, that would result in his release, he may be forced to choose between a plea, which would most likely involve his testimony against additional defendants, and a very long prison sentence. It is fair to assume that the other conspirators, all of whom were affiliated with the Zarrab-Zanjani-Monfared Iran sanctions evasion syndicate, directly or indirectly, are paying close attention to the proceedings. HOW MANY THOUSAND BLANK PASSPORTS FROM DOMINICA HAVE BEEN SOLD IN SYRIA ? When I first heard the information, which came from an individual inside the government of Dominica, I frankly did not believe it, but when a second trusted source confirmed the details, I decided that the story needed to be told, as it now taints the validity of all passports from Dominica, whether presented for identification purposes, or at bank account opening, or at the closing of a real estate transaction. It also represents a clear and present danger of the use of these passports, by designated global terrorist organizations, located in the Middle East. On January 29, 2016. 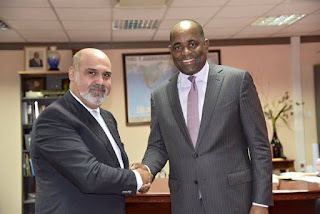 The Ambassador to Dominica (as well as the other English-speaking countries of the Caribbean), of the Kingdom of Morocco, Mohamed Benjilany, visited Dominica, and met repeatedly with the Prime Minister, Roosevelt Skerrit. On that day, and on a subsequent visit that the Ambassador made to Dominica, he allegedly acquired blank, official Dominica passports, My sources advise that the total number of passports he took possession of could be as high as 10,000, but in any event one must assume that several thousand passports were involved. For those readers who now assume that the passports were either from the country's controversial Citizenship by Investment (CBI), or economic passport program, or the more opaque diplomatic passport scheme, it was neither. 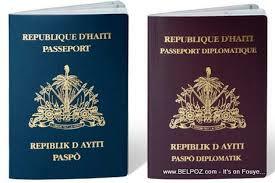 These are reportedly standard issue Dominican passports, which raises the question of whether the Minister of Foreign Affairs, Francine Baron, was involved in what was obviously an illegal transfer of restricted material, in violation of international law. the only other individuals with sufficient authority to order the release, from secure storage, of this quantity of passports also must now come under scrutiny. They are the Prime Minister, Roosevelt Skerrit, and his personal counsel, Attorney Anthony Astaphan. Which one authorized the illegal access and sale of these passports ? How much was he or she paid ? The potential impact of what was obviously an illegal sale, for cash, of the national patrimony of Dominica, cannot be underestimated. At least 2000 of these passports are known to have been shipped to Syria, and the presence of ISIS, Al-Qaeda affiliates, and other hard-line Islamist groups in the Syrian conflict means that any one, or more, of these terrorist organizations could now be in possession of these passports, through which they could enjoy visa-free travel to the nations of the Commonwealth. Terrorists could also use these passports to relocate to Dominica, where the hopelessly corrupt government would not be able to bar them from entry, and permanent relocation. After all, they possess legitimate travel documents. The possibility that a radical group could obtain control of Dominica should not be discounted, and they may already have an ally in government. Let us not forget the lessons of Grenada, and Dominica's Prime Minister has made no secret of his anti-American, pro-Cuban, and pro-Venezuelan politics. From this point on, international bankers, and immigration arrival inspectors at airports and borders, should verify that the holder of a Dominican passport, actually is a Dominican .Was he born in Dominica, and is that shown on his passport, as well another identification document. Is his racial category consistent with that of native Dominicans ? Where and when, and by whom, was this passport issued ? Can he answer a simple question about the names of Dominica's elected officials, past and present ? 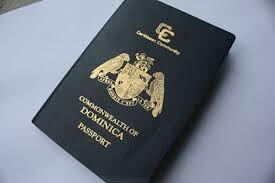 If a member of a radical organization uses a Dominican passport to commit a terrorist act in the West, perhaps then the global community will step in and engage in regime change, but in the meanwhile, bankers and law enforcement agents must now operate upon the presumption that a Dominican passport is bogus, until and unless you can qualify the holder as a legitimate citizen of the Commonwealth of Dominica. The imprisoned name partners of the Panama City law firm of Mossack and Fonseca have filed a suit against their insurance carrier, after it denied the firm coverage on a policy, due in part to the accusations of money laundering, and after the insurance company declined to provide addition specifics, regarding denial of coverage on its policy. The firm did not announce the lawsuit; it was spotted by journalists in Panama who were covering the government's continuing investigation of the law firm, who reportedly artfully concealed, and laundered, drug profits, illicit bribe proceeds, tax evasion funds, and many other types of illegal wealth, on a global scale. The law firm has long asserted that public release of the Papers was a violation of attorney-client privilege, but in the opinion of most legal authorities, and the law in many jurisdictions, the privilege does not apply when the attorney and clients are jointly engaged in criminal activities; it is known as the crime-or-fraud exception. Mossack and Fonseca, asserting that it has suffered reputation damage, due to the release of the Panama Papers, and subsequent criminal investigation, brought the action, seeking $8m in damages, plus costs and fees. Allegedly, the firm's business has declined by 50%, since the Panama Papers scandal broke; it has laid off or terminated most of its employees. Many of its far-flung low-profile remote offices, located in other tax havens, as well as onshore jurisdictions, where it sought clients, have closed. Whether the insurance company was justified in denying coverage on the policy raises issues of both law and fact, and we will be closely following it, and other related events, as the criminal case against the principals of Mossack and Fonseca progresses. All counsel's efforts to have their clients released on bond have failed, due in part to the discovery that the law firm was destroying evidence on a grand scale, even secreting shredded internal documents in a private residence, to avoid detection and seizure. The two experienced criminal defense attorneys, hired by Mehmet Hakan Atilla, the Turkish banker with aiding Reza Zarrab evade US sanctions on Iranian oil, are also being examined by the Court, to ascertain whether they must withdraw from the case, upon the grounds of Conflict of Interest. New York attorneys Victor Rocco and Thomas Thornhill are both members of a firm that has represented some of the victim banks, as well as the Republic of Turkey. The Court has yet to rule on whether Rudolph Guliani and Michael Mukasey will be disqualified, on grounds of Conflict of Interest. The Government's prior efforts to cause the removal of existing defense counsel for Zarrab were unsuccessful. Atilla remains in pretrial custody, with no bond hearing set. The superseding indictment that included him in the Zarrab case will most likely result in a delay in the scheduled August trial date. The US District Court for the District Court for the District of Columbia has entered a summary judgment, in favor of OFAC, the defendant, and against the Waked plaintiffs, in a case where the plaintiffs accused OFAC of violating Due Process, and the Administrative Procedure Act (APA). 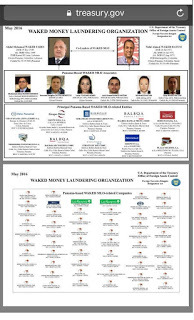 The Department of Justice refers to their organization as the Waked Money Laundering Organization, and accuses it of laundering Colombian and Mexican narco-profits, through Panama. 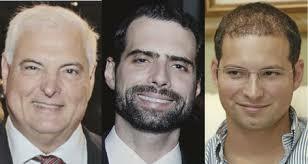 The Waked family, one of whom has been charged with money laundering, and extradited from Colombia, have been named by OFAC, as Specially Designated Narcotics Traffickers (SDNT), and as a number of their corporate entities have also been sanctioned, which has resulted in major economic issues in the Republic of Panama, as some are major commercial businesses, with a large number of employees. After a failure to have the sanctions against the plaintiffs removed, and to have their motion for reconsideration heard thereafter, the plaintiffs brought this action, asserting that the failure of OFAC to give them information not unclassified or non-privileged, violated their Due Process rights, as well as the Administrative Procedure Act. Some observers have noted that the suit was most likely an attempt to obtain information about the potential criminal liability of the plaintiffs, and others in their organization, through civil discovery; there is not provision in the Federal Rules of Criminal Procedure, requiring such disclosures pre-indictment, or even generally during most ongoing proceedings, and the suit was allegedly designed to obtain information, through the "back door," so to speak. Whether the filing of such a claim, by a criminal money laundering organization, against whom the Government reports there is overwhelming evidence, is indicative of complete and total arrogance, on the part of the plaintiffs, is another issue we intend to cover in a future article. 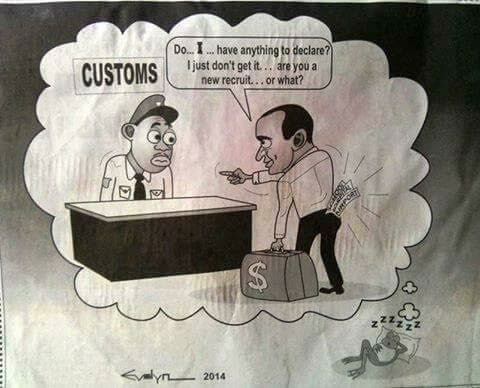 Are their sanctions available to punish, and even deter, such conduct, by foreign nationals ? The District Court found that the plaintiffs were afforded sufficient procedural due process, under the circumstances, and that OFAC had followed its own rules and procedures, under the APA, and entered summary judgment. the plaintiffs have filed a Notice of Appeal, so we have not heard the last of the Waked plaintiffs, on these issues. A US District Court judge has awarded the Securities & Exchange Commission a summary judgment*, against the Venezuelan Ponzi schemer, Francisco Illaramendi, in the amount of $25m,as and for disgorgement of illicit gains, plus a penalty of $1m. 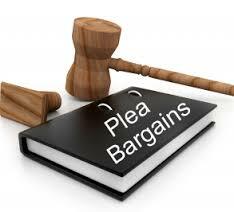 the defendant already has a Restitution order filed against him, in his criminal case, of $ 370m. 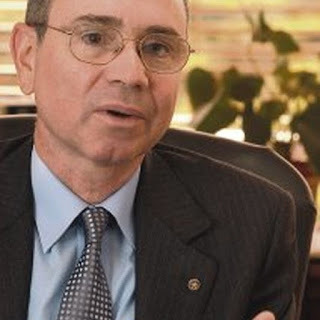 Illarramendi, who will not be released from Federal Prison, until his sentence is completed, in 2024, ran two unregistered hedge funds, in the State of Connecticut, serving the pension fund of PDVSA, the Venezuelan oil monopoly. His trading was based upon the ability to earn a profit regarding the official versus unofficial value of Venezuelan Bolivars, in US Dollars, When he sustained a $5m loss, he began paying prior investments with funds from new ones, in the classic Ponzi scheme manner. Readers who are interested in this story can find a number of articles on this blog, covering the Federal criminal case against Illarramendi. They may be access by using the blank white search box, at the top of the page, or the one on the right-hand side. *Securities & Exchange Commission vs. Francisco Illarramendi, Case No. : 3:11-cv-78 -JBA (D Conn). The Fifth Circuit Court of Appeals has held that the Foreign Sovereign Immunities Act bars Stanford International Bank Ponzi scheme victims from bringing suit against Antigua and Barbuda, a foreign state. The decision reversed a ruling by the US District Court for the Northern District of Texas. 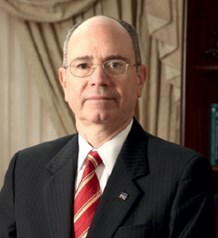 The Stanford victims successfully argued, to the trial court, that the commercial activity exception allowed civil suits brought by them, as well as the argument that Antigua had waived sovereign immunity, but the 5th Circuit disagreed, reversing the lower court decision, on both issues. Readers who wish to review the arguments made by both sides, and the Court's reasoning in arriving at its decision, may review the complete text of the reported decision here. The style is Joan Gale Frank, et al vs. 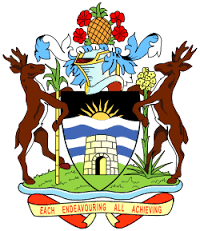 The Commonwealth of Antigua and Barbuda, Case No. : 15-10717 (5th Cir. 2017). 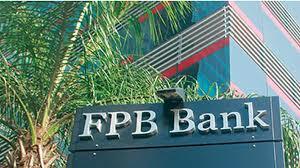 The Superintendent of Banking(SBP) of the Republic of Panama has ordered the liquidation of FPB Bank, Inc., one of the financial institutions that allegedly moved the bribe payments for Norberto Odebrecht SA, the Brazilian construction company at the center of a hemispheric corruption scandal. The fact that the bank was also involved with the "Panama Papers" law firm, Mossack & Fonseca, was also reportedly a factor in the liquidation order. 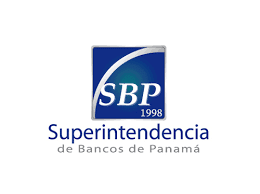 If you read Spanish, the complete text of the SBP advisory can be seen here. The International Consortium of Investigative Journalists (ICIJ) has won the Pulitzer Prize, for Explanatory Reporting, for the Panama Papers, the giant leak of offshore financial records, that exposed a global array of crime and corruption, and detailed the Panamanian law firm that was gatekeeper to a vast flow of murky offshore secrets. 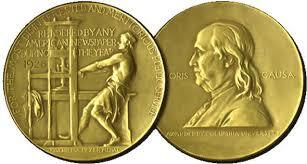 The Pulitzer Prize, which is awarded " for a distinguished example of explanatory reporting, that illuminates a significant and complex subject, demonstrating mastery of the subject, lucid writing, and clear presentation, using an available journalistic tool, " brings an honorarium of $15,000. 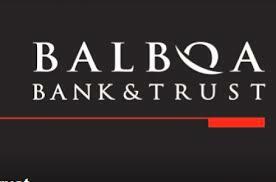 The case of Balboa Bank & Trust illustrates the dangers posed, to foreign nationals, who place money in Panama's banks. 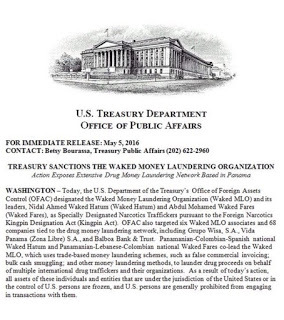 The bank, which lost its OFAC license, and now must be reorganized and sold off, was solvent at the time its was sanctioned by OFAC, for being under the control of the Waked money laundering organization, but its clients will not be receiving 100% of their funds on deposit; Here's why. The Superintendency of Banking will be taking thirty per cent, from each account, a disturbing development which we have seen occur during prior bank closures. Panama has no government-sponsored deposit insurance program, and given the fact that many banks engage in lucrative, but illegal, money laundering operations for clients, the risk of loss of a depositor's funds is substantial. When assessing Country Risk, the safety of client bank deposits is one of the primary factors compliance officers examine, as the potential loss of a foreign corporation's accounts is enough to deter the opening of any operation in the Republic of Panama. There are rumors that the most probable buyer of the bank is a prominent Panamanian family, but its identity has not been disclosed. This presents a new problem, as many of the country's most powerful, and wealthy, families are either linked to, or directly involved with, organized crime, specifically what has been referred to as the Syrian organized crime syndicate, the second- or third-generation descendants of groups of Middle Eastern origin. This syndicate owns, or controls, a number of Panama's largest financial institutions, and routinely offer substantial bribes to government officials, to obtain official approval of their purchases of regulated entities. When the identity of the purchaser is known, we shall supplement and follow up on the information on this blog. Lately, we have been hearing much about the plans, of the banking industry trade group, The Clearing House, to put forth a proposal to minimize the Suspicious Activity Reports (SARs) filed by American financial institutions. While we understand that the costs of SAR filings, together with other compliance costs, have skyrocketed, as more and more SARs are filed by the banks, in what it says is an overabundance of caution, the plans does not work. (1) Drastically reducing SARs, in favor of targeted filings, as directed in your geographical area, by law enforcement agencies, simply will not work. The notification of trends is reactive, not proactive; by the time banks receive such notices, the activity listed has, most likely, been in operation for months, as it must be observed, analyzed, and disseminated, all of which takes up valuable time. Money laundering is, whether we like it or not, a dynamic, and very responsive, crime, and its participants constantly modify their operations, changing both how, and where, they conduct their covert cash movements. You cannot expect that a law enforcement notice is current enough to make a difference, on a real-time basis. (2) Clearing House wants FinCEN, not the OCC, to be the regulatory police. FinCEN is, unfortunately, understaffed and under budget, and to expect it to take the place of a regulatory agency, who has years of experience, in the enforcement role, is to expect far too much. Is there is real solution ? You bet there is. if US banks have truly effective KYC, and KYCC, programs, the filing of SARs would seriously decline, but we are not yet seeing either of them being created, and operated. When that happens, you will see a major decline in SARS, because when a bank knows its customers, as well as its customers' customers, it does not randomly file SARs, because it understands the conduct of the clients' business. Let's focus upon a real solution, and not follow a group seeking to cut compliance costs decide upon some well intentioned, but ineffective, plan that will only increase money laundering inside the United States, in my humble opinion, based upon by experience on both sides of the problem. 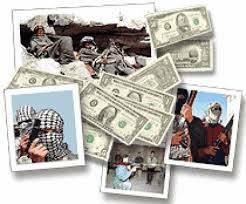 Due to the importance of Jesner vs. Arab Bank in the development of terrorist financing case law, we are making the Arab Bank's Brief in Opposition, filed in the US Supreme Court case, available, so that readers have the opportunity to review the issues the bank presented, in seeking to have the Court decline to hear the Certiorari petition. You may access the brief here. 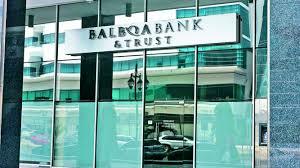 The Office of Foreign Assets Control, more commonly known as OFAC, has declined to renew the license it granted to Balboa Bank & Trust, a year ago, when it was sanctioned, due to its control by the Waked money laundering organization. If anything, the refusal to extend the license is indicative of the seriousness with which the US considers the threats posed by the Waked organization, which laundered both Colombian, as well as Mexican, narcoprofits, through Balboa, as well as other legitimate businesses owned or controlled by the Waked family. The bank was a well-known facility for drug money laundering, since its purchase, but the Government of Panama ignored incriminating information delivered to it, by whistle blowers and private intelligence analysts. Panamanians have reacted in anger, to the news that Balboa, without the ability to access the US banking system, will close forthwith. Panama has no central bank, and all international transactions transit through US banks. Most Panamanians appear to be more concerned about the fact that approximately 2000 employees will lose their jobs, rather than the fact that Balboa was a longtime center for Waked money laundering operations. They consider any major new capital that enters Panama a boon to the economy, irrespective of whether it is legitimate or not, and the United States generally appears to have a "hands-off" policy, regarding the country's massive drug money laundering, conducted by its major financial institutions. Reza Zarrab, who faces as much as 75 years in a Federal Prison, sought to obtain a "diplomatic solution" to his criminal charges, as revealed in the correspondence to the District Court judge, and the Court's recent order. Both ex-USA Rudolph Guliani, and ex-AG Michael Mukasey, apparently met with not only Turkish President Recep Erdogan, but also the new US Secretary of State, Rex Tillerson, in what must have been a futile effort to solve Zarrab's problems through political means. The Court, which is trying to ascertain whether there are conflicts of interest, when Giuliani, and Mukasey represent Zarrab, due to the fact that their law firms represent banks that are victims, and that Giuliani's firm also represents the republic of Turkey, has asked for the details of who is paying their legal fees, and what is the scope of their legal representation. Clearly, Zarrab is concerned about the probable outcome of his trial, for typically, the US Attorney's Office takes the time, in advance, to build a bulletproof case against defendants, and the only way that he can reduce his ultimate sentence is through cooperation with the Government, which means providing Substantial Assistance that will result in additional indictments, and the recovery of criminal proceeds. This would impact a number of possible targets, in the Middle East, in the Caribbean, and even in East Asia, whom he would be offering evidence against, and even testifying against, in open court. Given that the diplomatic/political efforts of his new counsel do not appear to have worked, Zarrab now must face the real possibility of entering a guilty plea, cooperating, and seeking a short sentence, due to that cooperation. His partners, business associates, and the facilitators of his money laundering operation are probably closely monitoring the court proceedings. 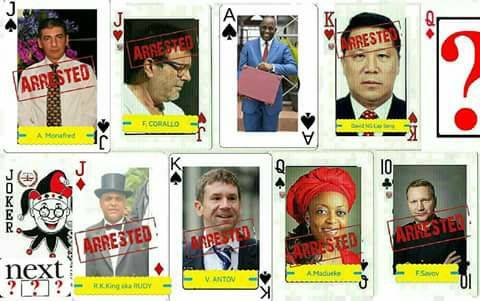 When the former Minister of Petroleum of Nigeria, now charged with money laundering in her native country, was arrested in the United Kingdom, she tried, in vain, to use her diplomatic passport from Dominica, to escape arrest. 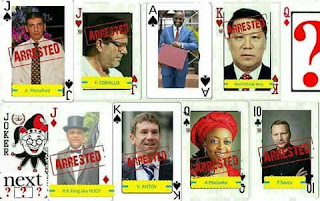 it appears that the Dominican diplomatic passports, which have been purchased by a number of high-profile financial criminals, are not the "Get-out-of-Jail-Free Cards" that the users intended them to be. Apparently the word is now out, on non-Dominican nationals holding these dysfunctional Dominican diplomatic passports, that they are not to be honored as the real thing. The Iranian oil sanctions evader, Alireza Monfared, successfully used his Dominican diplomatic passport, to evade arrest, last year, in Malaysia, but now these bogus documents have lost their legitimacy.